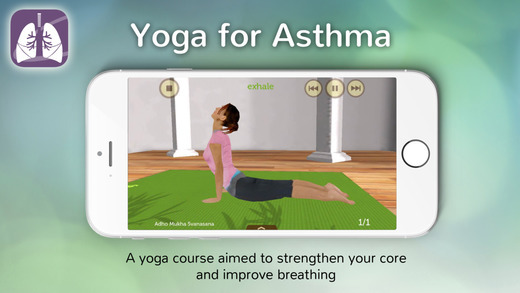 “Yoga for Asthma” provides a structured series of yoga poses which aim to improve breathing and reduce stress. 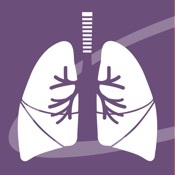 If you suffer from difficulty breathing and shortness of breath from asthma, bronchitis or emphysema, you may find your symptoms improve gradually over time from regular practice with this app. According to ancient Ayurvedic Medicine, asthma is defined as a weakness of the lungs. 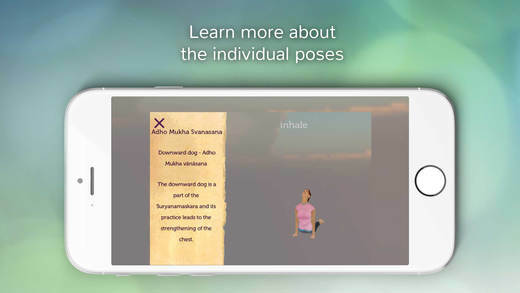 The exercises in the app were chosen because they strengthen the lungs, reduce coughing and improve overall breathing ability. “Yoga for Asthma” draws upon traditional hatha yoga and was formulated by an expert in ancient yogic methods. The program guides you through several yoga poses while emphasizing correct breathing methods. As you become accustomed to the exercises, you can change the settings from beginner to intermediate, and then to advanced, for a longer more effective session. 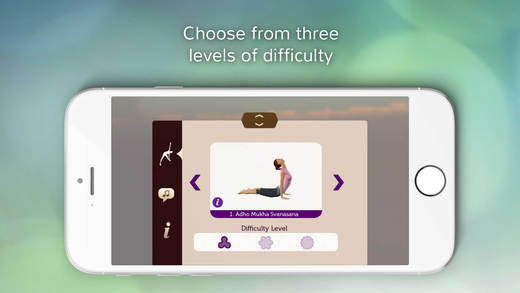 Users may want to first try our app “Core Yoga” which is better suited for beginners. After practicing “Core Yoga” for a few weeks, you should be able to comfortably practice “Yoga for Asthma”.